This is what I know for sure: Oprah is my role model. Her talk show was one of the most consistent and loving source of positive encouragement I received growing up. Her magazine is my monthly refuge and re-set button. And her Golden Globes speech is a shining example of everything that’s good in this world: positivity, tenacity, inclusivity…the list goes on. Here’s what I also know for sure: the most successful political movements all have two things in common: a single Call-To-Action (CTA) and a damn good leader. The Selma to Montgomery marchers had MLK Jr. and wanted equal voting rights. The Salt Marchers had Gandhi to urge Britain to let Indians collect and sell their own salt. The anti-apartheid movement was nothing without Mandela. Oprah, our interim leader, had a pretty good CTA in her speech: speak your truth. Don’t get me wrong, her speech was a humongous step in the right direction. 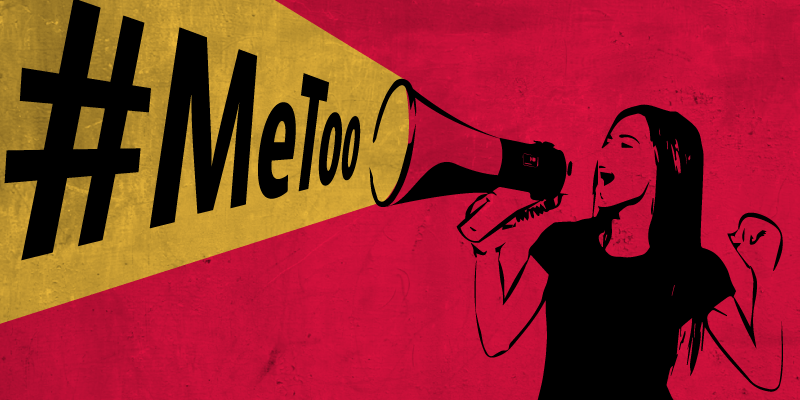 #TimesUp, #MeToo, and #TheResistance all have their powerful and valid merits and calls-to-action. But is it feasible for us to enact upon all of these organizations’ goals equally and simultaneously? Movements are like nonprofits. Are there too many? Never. But are there enough GOOD ones? Well, no. Specific: Overthrow the GOP majority in the house. Achieve equal representation of sexes in the House and Senate. Both of these goals will enable us to pass legislation that most benefits women, specifically: safe, affordable access to reproductive health, and mandatory equal pay. Measureable: Achieve both goals by 2020. Actionable: We can accomplish this by…. gaining more funding for democratic female candidates, increasing the number of female politicians, and encouraging more female civic participation through outreach and education, etc. etc. Relevant: Yes, I do believe that our ACTIONS will contribute to our SPECIFIC goal. But I’d need more input from others before I can get consensus that these are the relevant goals. Time-Bound: By 2018 elections, we need X number of women in congress, X amount of funding for X number of female candidates, X number of volunteers, X amount of increase in female voters… by 2020, same thing…. again, I need help! It’s time to start prioritizing what’s urgent and important. In my opinion, that is equal and liberal political representation and legislation. Only then, I believe, can we achieve measurable impact behind #MeToo, #TimesUp, #TheResistance, and all of the other social justice movements that are currently rousing our country. Oprah’s amazing, but she’s no politician. How might women everywhere ORGANIZE well enough to determine what our #1 mission, vision, value, program, input, output, outcome, and measureable impact will be? It’s simple, really: a damn good politician. A damn good politician can help us simplify our message and shift the agenda from broad and shallow to deep and narrow. #TimesUp for #RIPHarambe, #SaltBae and #ShitGirlsSay. But time has just begun for you to rise up and lead our movement into becoming something more than just another meaningless meme. Courtney Cherico Hall is a content marketer by day, blogger at Offended Millennial by night. There, she shares progressive insights and action items on current events, feminist issues, pop culture, and everything in between. She graduated the University of Mary Washington with a bachelors in English, Creative Writing. Courtney lives in Rockville, Maryland with her husband, two cats, and a fish.